When Jim and Jenny Cooper moved from New Zealand 39 years ago, they didn’t foresee the day they’d build one of the biggest and most respected roadtrain operations in Australia. Murray Clifford talks with 70-year-old Jim Cooper about the past, present and future. Jim Cooper has forged a formidable reputation in the road transport and mining industries inAustralia. A laconic, unassuming man, he advertised for a business in Darwin in 1971 and went on to buy the then modest Gulf Transport and build it into the Gulf RTA group – a respected business that operated well over 100 road trains across Australia. The RTA (Roadtrains of Australia) operation was sold in 2006 – an emotional moment for Jim Cooper – and in late 2010 the Gulf group of companies was sold to BIS (Brambles Industrial Services). The decision by the Cooper family – Jim, Jenny and son Jamie – to sell Gulf took many by surprise. “We decided it was time to walk away… but it wasn’t an easy decision,” says Jim Cooper. “The toughest part was leaving 600 people behind, many of whom I’ve had a lifetime of involvement with. “It’s people who give a company its character and make it happen and the Gulf group was a good example of this. “I’m running out of years, and both Jenny and Jamie were getting tired of running the business, so we decided to sell. We also needed to consider our daughters who all paid the price of never seeing too much of their father in their younger years and having a working mother tied to the trucking industry. The business the Cooper family has retained is Brisbane-based Powertrans, established in 2001 to give Gulf “a competitive edge” in mine haulage applications, both underground and surface. The Cooper team at Powertrans started designing and manufacturing a unique underground mine truck along with powered and non-powered trailers. Today, the above ground Pit Hauler is a perfect example of the expertise at Powertrans – a remarkable innovation that has proved at the Fortescue iron ore mine in the Pilbara that it can achieve phenomenal productivity gains. The biggest capacity Pit Hauler is powered by twin 760 hp Cummins QSK19 engines – a 1520 hp behemoth with 4550 lb ft of torque that can comfortably haul payloads of 500 plus tonnes at 60 km/h. One of the Pit Hauler’s QSK19 engines is installed in the prodigious T1250 special-purpose prime mover designed and built by Powertrans in Brisbane, the other is in the power trailer. Not surprisingly, business is robust at Powertrans, with a good order book. More than 100 power trailer combinations have been commissioned by Powertrans since 2001. The Cooper family – Jim and Jenny and their four children, Robyne, Jamie, Erynne and Allison – moved toAustraliain early 1972. Jim had operated 10 trucks – mainly Leylands and AECs – out of Tapanui, a small town near the bottom of theSouth Island. “I had to get away from New Zealand because of the heavily regulated transport industry,” he says. “At that time you had to have a licence to operate a truck, were restricted to a specific area –New Zealandwas split into 11 separate districts – and the railways were protected. “We couldn’t run more than 35 miles in competition with any railway line. We did more work after dark than during the day, but the police were always out there trying to nail you and trying to protect a rail system that was highly inefficient. “It took me 10 years to convince Jenny to move to Australia and in early 1972 we arrived in Darwin. “We chose Darwin because there was no railway, there weren’t too many people, and we were looking for a better climate. “I advertised for a business in Darwin and Gulf Transport came up for sale. Gulf was started in 1939 by Ben Hingston and we bought it from his nephew Bob McMillan. Gulf did it tough in the early days, particularly during the war era. Most of its trucks were commandeered by the military after the bombing of Darwinin 1942, leaving the company with just a couple for the rest of the time. 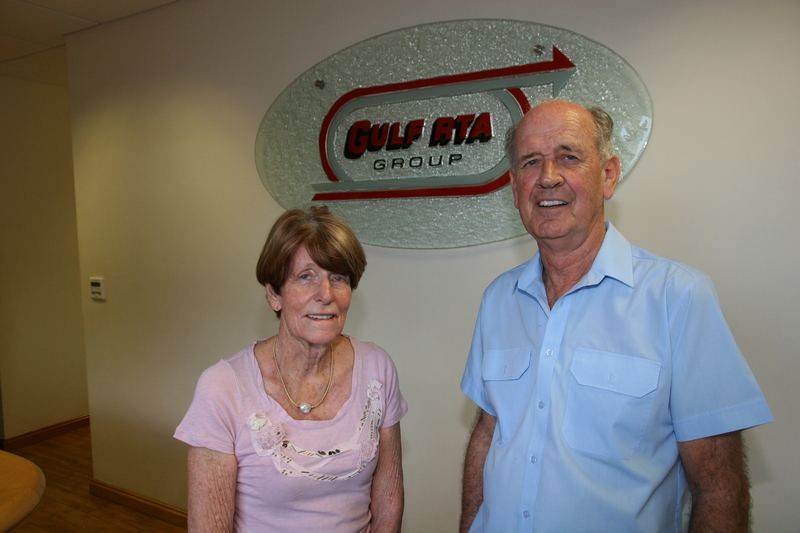 Like most businesses, the Cooper-owned Gulf was adversely affected by Cyclone Tracy in 1974. However, the rebuilding of the Northern Territory capital brought new opportunities and Gulf grew with them. At the same time, Jim Cooper had the Northern Territory distributorship for White and Autocar trucks – White Sales & Service – which continued until the early ‘80s. 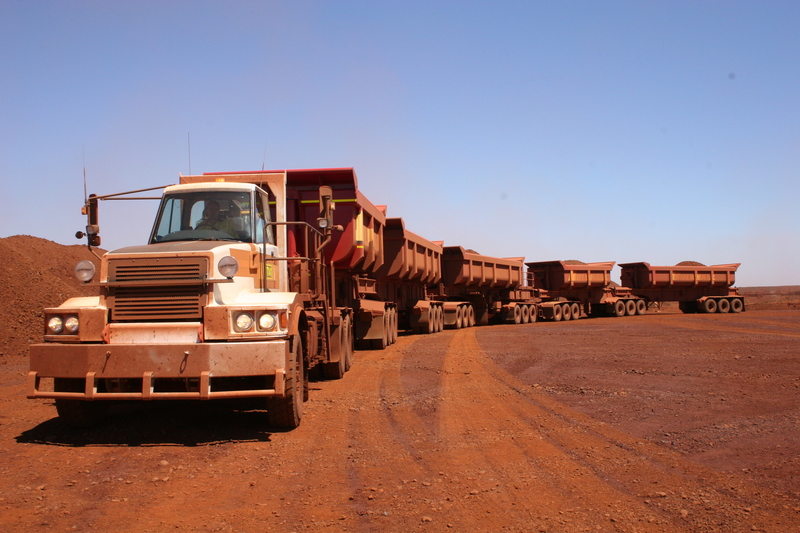 During the mid-‘80s Gulf moved towards the mining industry and in 1988 won an important contract in Western Australia where 15 roadtrain triples began hauling concentrate from the Cadjebut zinc and lead mine near Fitzroy Crossing to the port at Wyndham. In 1998, the export moved from Wyndham to Derby and the Gulf haulage continued for another five years.